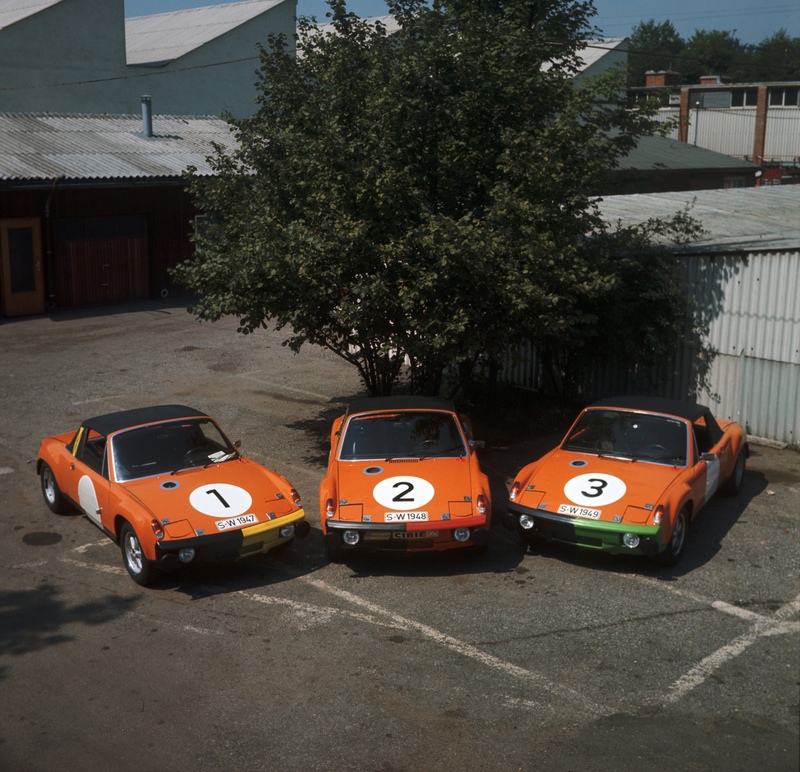 The 86-hour race held at the Nürburgring in 1970 was indeed a marathon in every sense, with the Porsche 914/6 achieving a famous one, two, three finish. 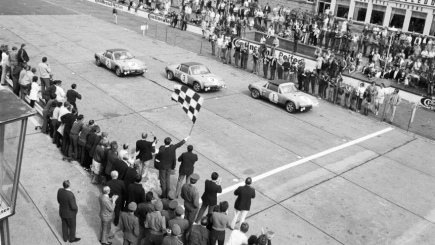 The Marathon de la Route event, which was held at the Nürburgring between 1965 and 1971, lasted a total of 80 to 86 hours. 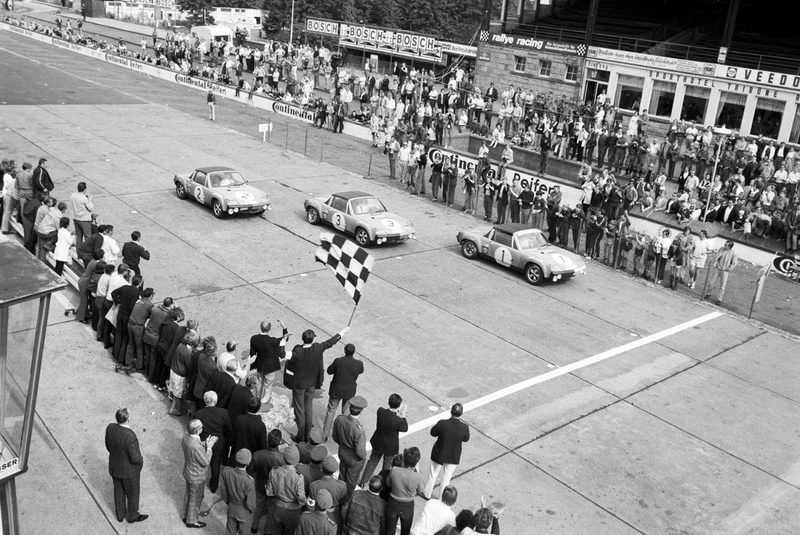 This exceptional distance was chosen to reflect the nature of the Liege-Rome-Liege Rally, Europe’s toughest rally in the 1950s, which subsequently followed the route Liege-Sofia-Liege from 1961 to 1964. Having competed in these rallies for Mercedes, the Porsche works driver Dieter Glemser described them in the following terms: ‘At some point, after four days and four nights, you would finally cross the finishing line completely exhausted and often almost unmoved – after covering 5,000 kilometres in 90 hours!’ Porsche test driver and racer Herbert Linge also noted that ‘anyone who could get some sleep as the co-driver, like Paul Ernst Strähle could in my car, was at an advantage. But I couldn’t manage it.’ Once it seemed that the rally could no longer be held alongside normal road traffic, the organisers turned to the Nürburgring. Porsche entered a 911 R featuring a new Sportomatic gearbox in 1967, recording a convincing victory with Hans Herrmann, Jochen Neerpasch and Vic Elford at the wheel. Three 911 models were at the head of the pack in 1968, with Dieter Glemser, Herbert Linge and Willi Kauhsen ultimately taking first place. 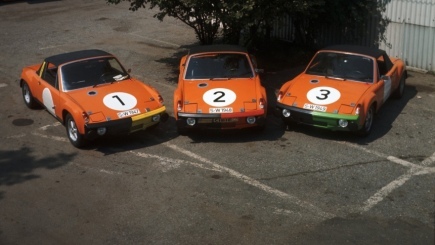 In 1970, Porsche wanted to put the sportiness of the 914/6 to the test. The race now covered a period of 86 hours and was subject to strict regulations, such as the rule that limited pit stops to a maximum duration of 60 seconds. ‘Even if you were only a few seconds over, a lap would be taken off your total,’ explained Porsche development engineer Roland Kussmaul. Given that it took around 13 minutes to complete one 28.3-kilometre circuit of the North and South Loops, this was a harsh penalty. Although refuelling and driver changeovers were subject to this time limit, tyre changes were not – leaving the door open for Porsche to respond with a tactical masterstroke. When it was time for a tyre change, the driver stopped the car in front of the entrance to the pit lane. He then loosened all but one of the wheel nuts, removed them and placed them in his overalls. With each of the tyres secured by only one nut, he subsequently drove up to his pit crew. Once the team had changed the tyres, the driver brought the car to the exit of the pit lane before securing the remaining nuts. Thanks to the use of hard tyres, only one change was needed during the entire race. The winning trio of Gérard Larrousse, Helmut Marko and Claude Haldi completed a total of 360 laps, with the two other 914/6 models close behind. These were driven by Björn Waldegård, Aake Andersson and Guy Chasseuil, and by Claude Ballot-Léna, Günter Steckkönig and Nicolas Koob respectively.